A crisp November morning just days before Thanksgiving offered the ideal time for a winding drive into the Southern Appalachians of Western North Carolina. With clear skies and sunshine overhead, I passed by sections of national forest filled with hardwoods and tall evergreens that were skirted by mountain laurel. 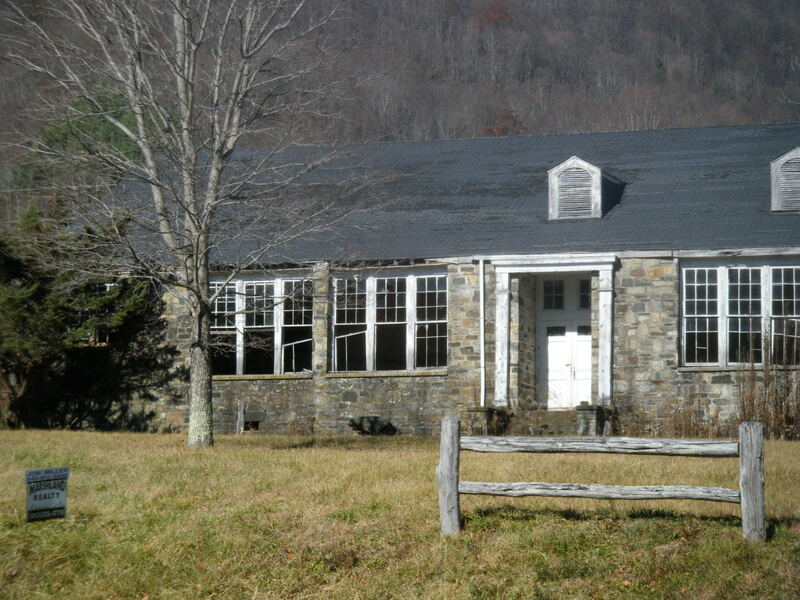 At around 3,200 feet in elevation I arrived at the rural community of Glen Ayre, with its vacant stone school building, family cemetery and modest homes. Although several small Christmas tree farms I had passed along the way spanned hillsides, the Glen Ayre Tree Farm spread along the rich soil of the river bottom. 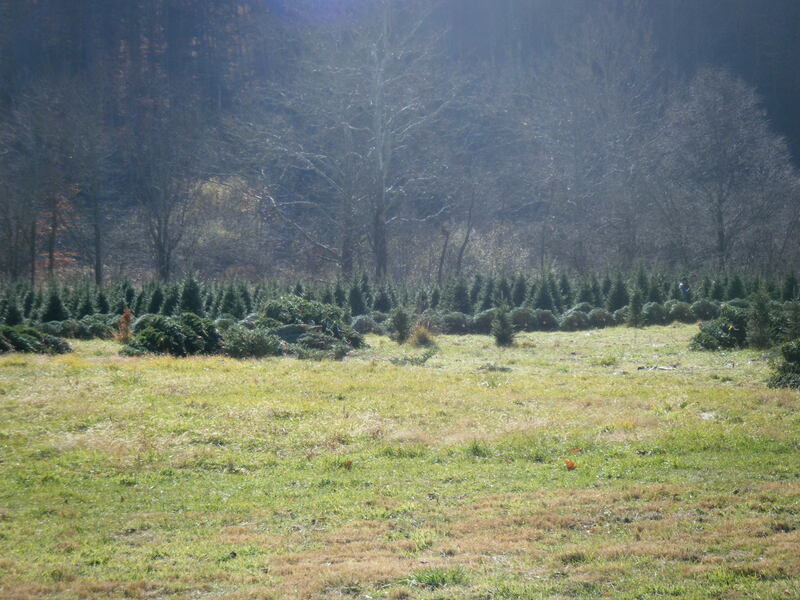 Several rows stood tall, yet 700 trees had already been cut and were being baled and stacked. Once the tree baler was turned off, I could hear water flowing along the nearby stream. 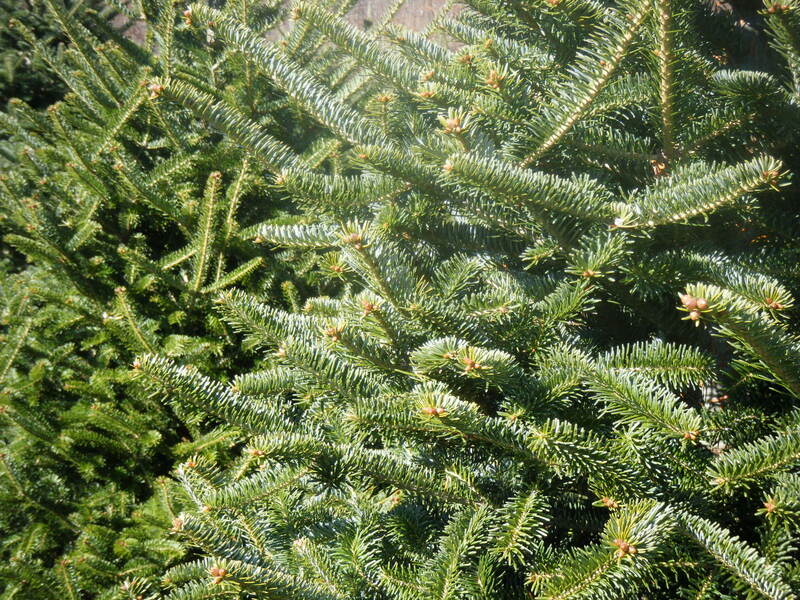 The delicate fragrance of the Fraser firs was second only to the distinctively clean air smell all around. This mountain meadow where Curtis Buchanan grew up is where his father, John, still lives, and where they’ve been quietly introducing countless people to the idea of growing even greener trees. The family’s been farming balsams on this little patch of land for three decades. Buchanan smiles to recall his father’s reaction when he started growing organic trees in the mid 90s. “Dad called them, ‘Curtis’ special trees,’” he explains. They stood in a little section apart from the others. The elder Buchanan was supportive. The local extension agent helped with some trials of organic pesticides. But no one really knew what would become of those “special trees” grown with techniques like integrated pest management and alternatives to conventional fertilizer. After a few years, people starting taking notice, in rural Mitchell County and around the world. The father and son team were excited and proud when a reporter from the New York Times visited their farm a couple of years ago and included them in a feature story about organics. The University of North Carolina’s public television station produced a documentary about them. Buchanan has spoken to numerous groups of growers and concerned citizens. Yet, others are slow to replicate this success story. “Some of the other growers have been a little slower to adopt that, “ admits Jeffery Vance, Mitchell’s County Extension Director. When it can take seven or eight years for a tree to be ready for market, it seems to require a leap of faith to make major changes in farming practices. 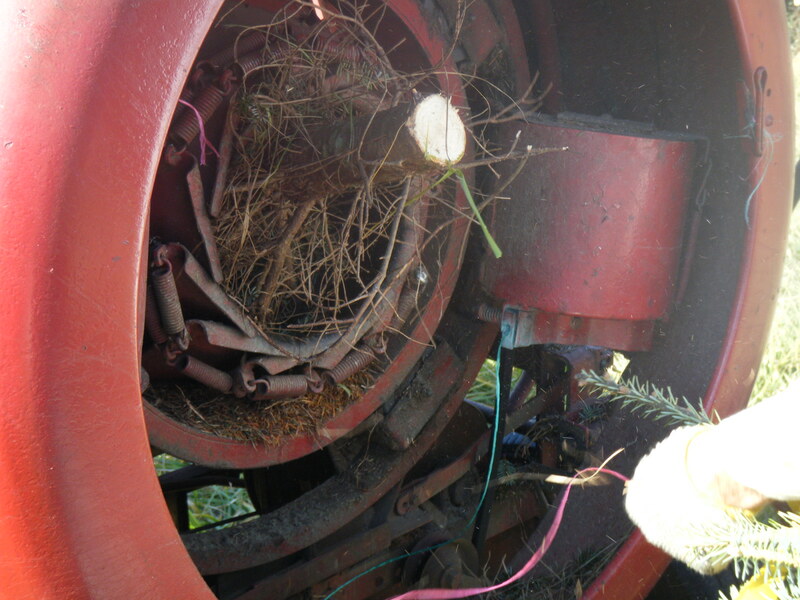 The wrong decisions about managing disease and pests can wipe out an entire crop. Vance notes that other growers, including him, are concerned about organic guidelines requiring too much expense and labor. This, despite Buchanan’s efforts to show everyone that organic farming can pay off. Buchanan explains that using large amounts of alfalfa meal as fertilizer can be more expensive than the traditional method. But his pest management eliminates the need for chemical pesticides and becomes a money saver. “Natural insects take care of my pests for me, so I don’t have to do any pest control at all.” There is the labor of physically mowing the grass from time to time, and his elderly father has done most of the tree shearing over the years. If there are higher expenses, these seem to be offset by the premiums that consumers are willing to pay. Buchanan could not provide enough trees to meet wholesale demand this year. 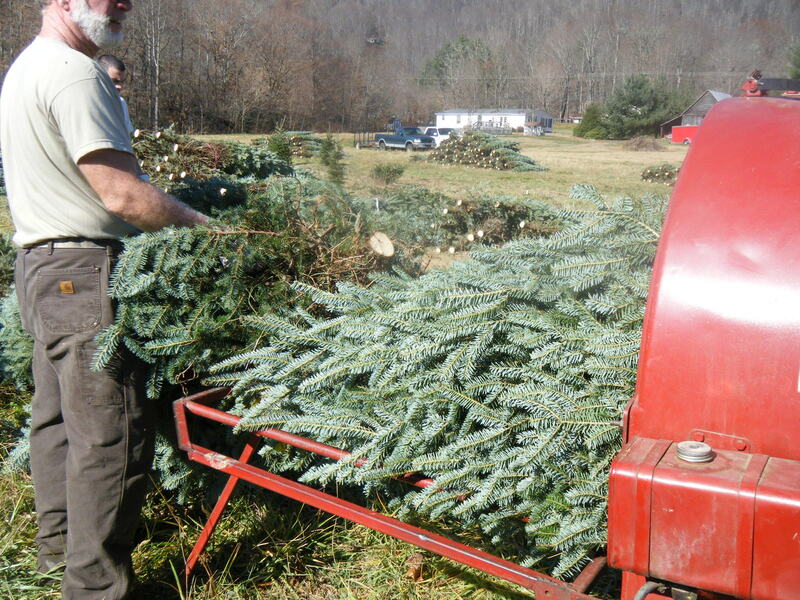 He claims to be the only USDA certified organic Fraser fir grower in the nation. A few miles down the road from the Glen Ayre farm, I spotted a sign for a conventional farm advertising “Nice Christmas Trees, Cheap,” a reminder that old habits are hard to change. The local extension agent doesn’t necessarily think that the products growers have been using for years are getting into or harming the water supply, but rather that most of it remains in the trees and soil. 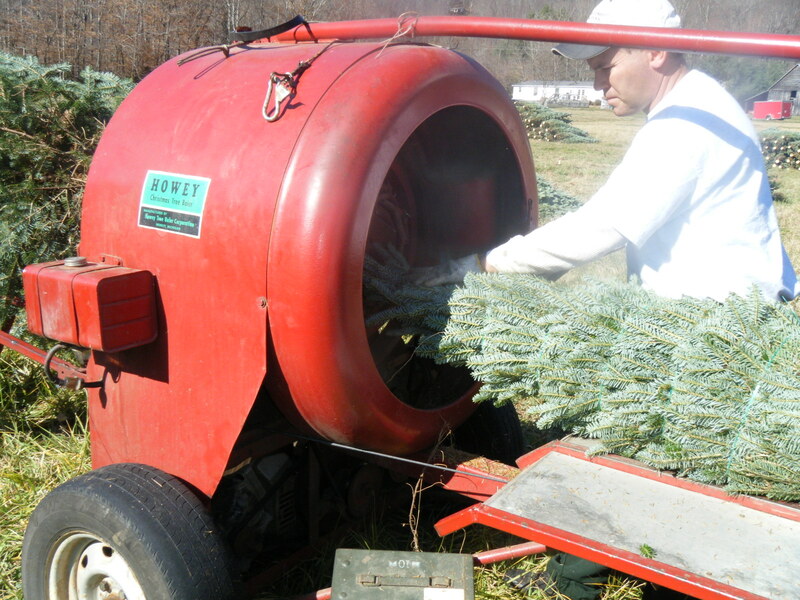 Back at the farm, where Joey Phillips’ crew is baling up the freshly cut trees for Buchanan’s family farm to have transported, Buchanan explains why he started this whole way of growing Christmas trees differently. 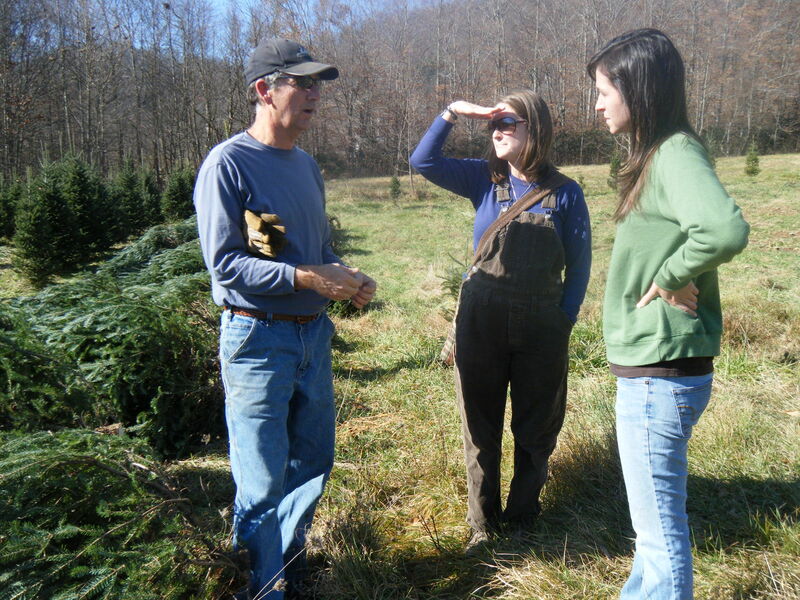 “I was concerned about the damage, maybe perceived damage that I had, I don’t know if anybody has ever proved it, that happens to the soil and to the water in the Southern Appalachian Mountains because of Christmas trees. 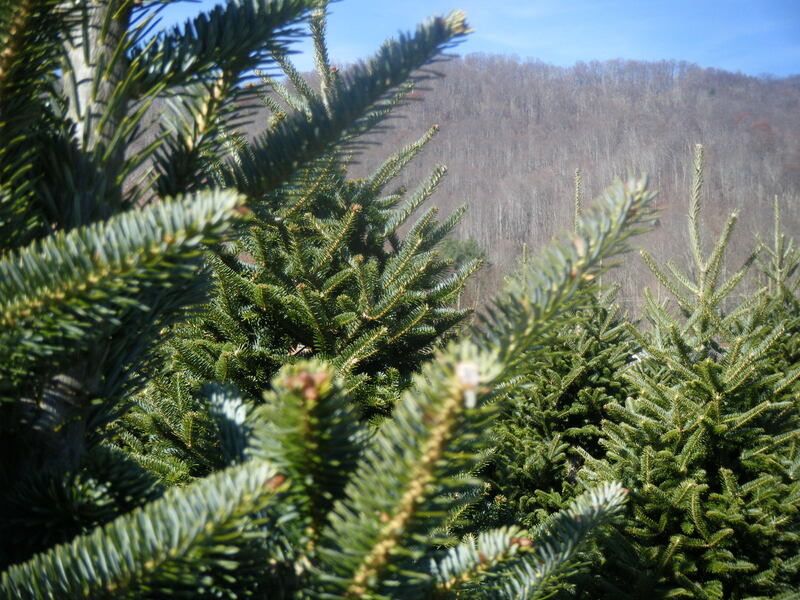 North Carolina has 25,000 acres of Christmas trees, that’s all in the mountains. Every year 100 pounds of nitrogen per acre, pure nitrogen, is put down on those trees, sometimes in the form of ammonium nitrate. It’s highly water soluble, which means that in heavy rains that we can get in the spring up to 50-percent can wash off. 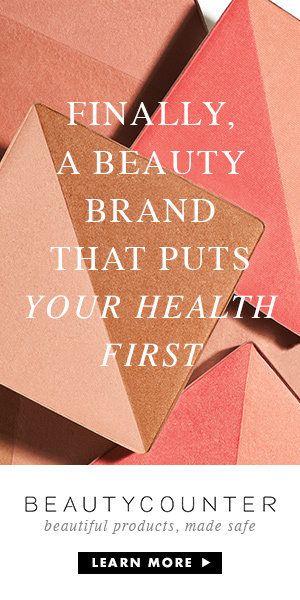 There’s also herbicides that are used and pesticides that are used. So, the reason that I switched over 15 years ago is I was greatly concerned about the potential damage that the chemicals could do to the water and the soil in the Southern Appalachians, and so I sort of forged out on my own with the help of the county Extension agent trying to figure this out, and slowly over the years I’ve gotten it to where I can grow a good tree without using any chemicals.” Buchanan notes that his years of experience in organic gardening also influenced his interest in trying organic practices with the trees. Even as we talk about resistance to changing to organics, Buchanan makes sure to credit other farmers who are at least trying to update their practices. Others are trying some form of integrated pest management to reduce or eliminate the need for harsh pesticides. Some are reducing the amount of herbicide they apply in a technique dubbed “chemical mowing,” which stunts instead of killing all weeds and grass to maintain some ground cover. For consumers who want to do their part this holiday season, Buchanan stresses that even if you don’t get an organic tree, buying any locally produced tree is a more responsible decision than buying an artificial one. He calls buying a plastic tree, the “worst environmental decision” of all. USDA data from 2008, the most recent I could find, indicated 18 USDA Organic certified Christmas tree farms in the nation, with another 45 small farms claiming to grow organic without the stringent certification requirements. Only producers selling $5,000 or more in trees annually have to undergo the expensive certification process that involves lots of record keeping and auditing to prove they are following organic guidelines. Certified growers are the only ones legally allowed to use the USDA Organic seal. 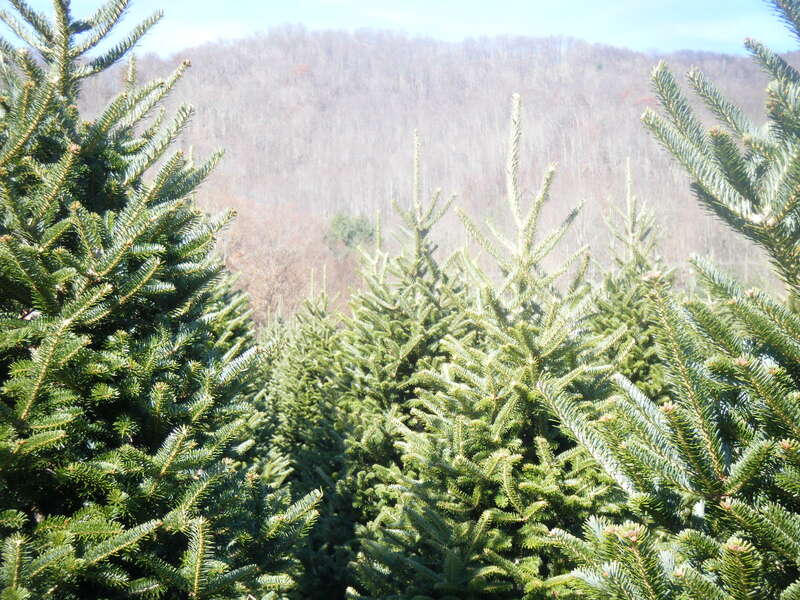 Buchanan says his family has decided to make next year the last one for their tree farm, planning to let the remaining 300 trees grow until Christmas 2011. His father is becoming physically unable to participate as fully as he used to. And the farm has never been the sole source of income for Buchanan, who is an accomplished furniture craftsman by trade. If you weren’t fortunate enough to be one of his Glen Ayre neighbors who receive a hand-delivered tree as a gift, you might have found his trees at one of five different locations around the Southeast. 2013 — The Buchanan family has retired from the Christmas tree business. A few others are slowly taking interest in their organic tree farming methods. 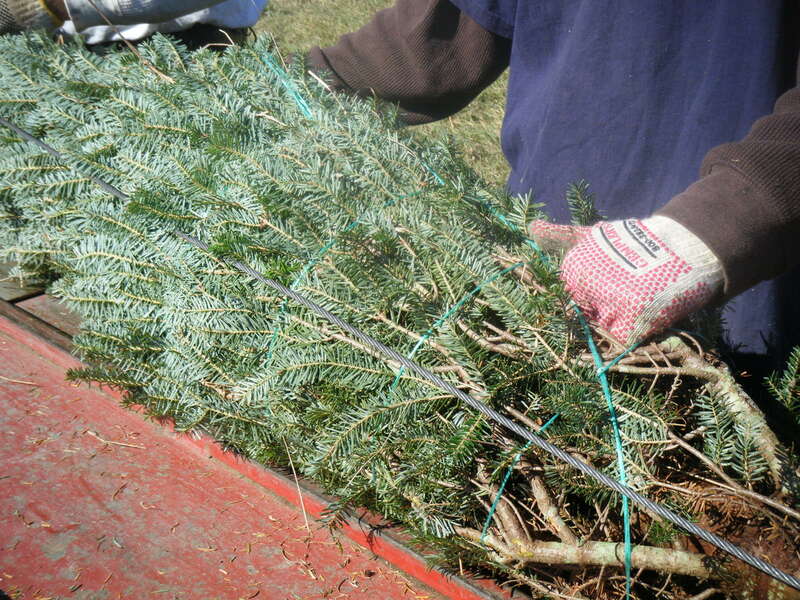 It’s anticipated that another tree farmer will be growing more organic Christmas trees on the old Glen Ayre farmland.